Welcome to the all-new Active Wiltshire sport, physical activity and leisure brochure produced by Wiltshire Council. The brochure features a host of opportunities for residents to play sport or to be physically active, be it in one of Wiltshire Council’s many leisure facilities, while enjoying the beautiful Wiltshire countryside and play spaces, or through one of our sports and physical activity programmes. Activities are available for residents of all ages and abilities and the brochure also includes information for local sports clubs and elite athletes based in the county. 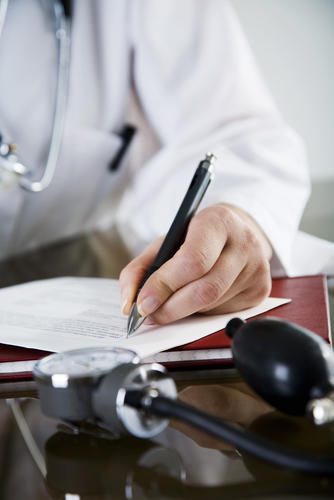 Living wills and other advance directives are written, legal instructions regarding your preferences for medical care if you are unable to make decisions for yourself. Advance directives guide choices for doctors and caregivers if you're terminally ill, seriously injured, in a coma, in the late stages of dementia or near the end of life. For more information please click here to read our in-house leaflet. Could You Be Entitled To £140.00 off your electr icity bill? If you are on a low income , in receipt of a means-tested or disability benifit then you could qualify. Think you may meed help when you get home? Would you enjoy spending about an hour each week to bring a smile to an older person's face? We are looking for befrienders to colunteer with Age UK wiltshire. Are you having trouble cutting your toenails? If you are aged 50 and over we may be able to help. Those who have Diabetes or Haemophilis. If you are, or think you may be pregnant, please contact Trowbridge Maternity on 01225 711314. To find out more information, please click here. Please click here to read our in-house leaflet Maternity leaflet. The severity of these symptoms varies from person to person. Asthma can be controlled well in most people most of the time, although some people may have more persistent problems. Occasionally, asthma symptoms can get gradually or suddenly worse. This is known as an "asthma attack", although doctors sometimes use the term "exacerbation". Severe attacks may require hospital treatment and can be life threatening, although this is unusual. Speak to your GP if you think you or your child may have asthma. You should also talk to your doctor or asthma nurse if you have been diagnosed with asthma and you are finding it difficult to control your symptoms. Patients may access this clinic by making an appointment through the receptionist or by discussion with their GP or practice nurse. Bereavement is a distressing but common experience. Sooner or later most of us will suffer the death of someone we love. Yet in our everyday life we think and talk about death very little, perhaps because we encounter it less often than our grandparents did. For them, the death of a brother or sister, friend or relative, was a common experience in their childhood or teenage years. For us, these losses usually happen later in life. So we do not have much of a chance either to learn about grieving - how it feels, what are the right things to do, what is 'normal' - or to come to terms with it. In spite of this, we have to cope when we are finally faced with the death of someone we love. For more information click here to read our in-house leaflet. Every day in the UK 8 women are diagnosed with cervical cancer and 3 women will lose their lives to the disease. Smear test overdue? Book yours today! To book your appointment at the Practice, please telephone the appointments team on 01225 865200. You can reduce the risk of cervical cancer by attending cervical screening.Despite this, 20% of women invited for screening don't attend. Be proactive about your health and go for screening when invited. For further information please telephone Jo's Cervical Cancer Trust Helpline on 0808 802 8000 or visit their website by clicking here. Overdue Smear Poster: click here to view. Cervical Screening Factsheet: click here to view. HPV Vaccine Factsheet: click here to view. In addition, please Click here to download the Contraception & Sexual Health 'CASH' Clinic information leaflet. Evening appointments are offered in Trowbridge Community Hospital, Adcroft Street, Trowbridge, BA14 8PH. To book an appointment telephone: 01225 831593 (office hours) or 01225 711 335 (during clinic opening times ONLY). Jo’s Cervical Cancer Trust is pleased to announce the launch of a new 20 page EasyRead guide about cervical screening (smear tests). The EasyRead guide entitled: ‘Having a smear test. What is it about?’ has been produced using input from women with learning disabilities, expert peer reviewers and with the help of specialised EasyRead producers Inspired Services Publishing. New clip art has been created which helps illustrate how smear tests are conducted and the type of instruments used during the test. The guide also covers some of the barriers that prevent women with learning disabilities from attending their invitation to screening. The guide can be ordered free of charge from the charity’s website. In addition to the EasyRead guide women can also access ‘The Smear Test Film’ a health education film resource for women eligible for cervical screening who have mild and moderate learning disabilities. Made by Public Health England in association with Jo’s Cervical Cancer Trust and launched in January 2015. This Child Health clinic is aimed at all parents and their babies aged 6-8weeks old to seek advice, information and to check their babies development so far. Children are weighed and/or measured at this clinic. It runs from 10:45 am to 11.30 am every Friday at the Bradford on Avon Health Centre and is a Doctor run clinic so appointment only. Please bring your red child health record with you. The NHS have provided a new digital advice service for parents-to-be and new parents. The service offers up to date material from NHS Choices, the Pregnancy Care Planner and the online Birth to Five guide, covering a wide range of issues including how a baby develops, birth and pain relief options, healthy lifestyle advice, breastfeeding, immunisations and much much more. To find our more information and to sign up, please click here. A service primarily provided by our Practice Nurses. This list of vaccinations have been worked out to give children the best chance of developing immunity against common diseases safely and effectively, and doing it early enough to minimise their risk of catching these diseases. A full downloadable leaflet of ‘Immunisation for babies up to 15 months’ can be found by clicking here. A full downloadable leaflet of ‘Immunisation for pre school children’ can be found by clicking here. In addition - A child is entitled to the chicken pox vaccine (on the NHS) if the child is at 'greater risk' of serious complications from chickenpox (through immune suppressed illnesses, for example). A child is also entitled to the vaccine (on the NHS) if a Parent is having chemotherapy treatment - as it is recommended that non-immune children (close to them) are given the chickenpox vaccine (Varicella) at this time. A new vaccine to prevent meningitis will be offered to babies as part of the routine NHS childhood vaccination programme from September 1 2015. The Men B vaccine will be offered to babies aged 2 months, followed by a second dose at 4 months, and a booster at 12 months. The measles outbreak in Wales is a reminder of the importance of MMR vaccination. To find out more information and advice for any queries you might have please click here. You can also download our leaflet by clicking here. Alternatively, please contact the Child Immunisation Administrator for the practice on 01225 866611. From 1st July 2013, the routine childhood immunisation schedule now includes a vaccine to protect babies against rotavirus infection. If your baby was born on or after 1st May 2013 he or she will be offered the vaccine from 1st July. The vaccine will be given with your baby's other routine vaccinations at two months of age and again at three months. To find out more information, please click here to read a helpful leaflet on the vaccination. Coronary heart disease (CHD) is the leading cause of death both in the UK and worldwide. It's responsible for more than 73,000 deaths in the UK each year. About 1 in 6 men and 1 in 10 women die from CHD. In the UK, there are an estimated 2.3 million people living with CHD and around 2 million people affected by angina (the most common symptom of coronary heart disease). CHD generally affects more men than women, although from the age of 50 the chances of developing the condition are similar for both sexes. As well as angina (chest pain), the main symptoms of CHD are heart attacks and heart failure. However, not everyone has the same symptoms and some people may not have any before CHD is diagnosed. CHD is sometimes called ischaemic heart disease. Chro nic obstructive pulmonary disease (COPD) is the name for a collection of lung diseases including chronic bronchitis, emphysema and chronic obstructive airways disease. The Diabetic Clinic is for all patients over 18 years to attend who have Type I or Type II diabetes. This is both a jointly run clinic (GP and practice nurse) where an annual check is performed and a six monthly (interim) check with one of the practice nurses. Patients benefit from these clinics as there will be time to discuss diet, lifestyle and general management of their diabetes and any complications. Referrals may be made following attendance at these clinics to the Dietician, Podiatrist, Ophthalmologist or Retinal Screening (which takes place at The Health Centre) or Consultant, or Diabetes Specialist nurse if required. 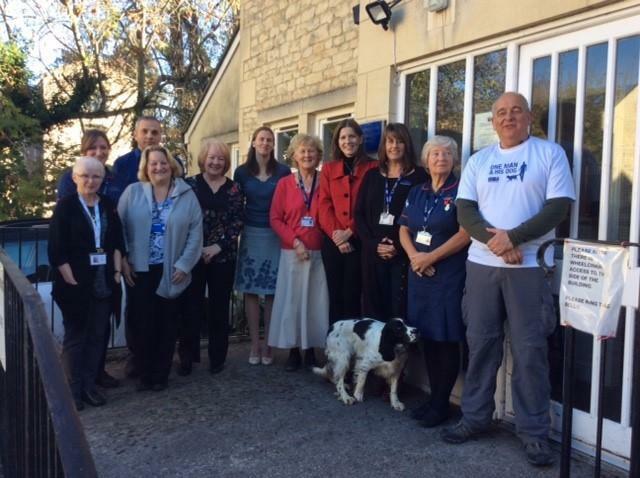 The Bath, Wiltshire and North Somerset Diabetes Service are pleased to announce the launch of the Bath, Wiltshire and North Somerset website. It has been designed to give advice on all aspects of diabetes care, and is based on national guidelines with local information. These are offered when you register with the surgery if you have specific medical needs and are carried out by a Health Care Professional. FREE NHS Health Checks are offered to all patients aged 40-74 and will only take 20 minutes of your time. An invitation letter will be sent out to those aged 40, and thereafter every 5 years till the age of 74. To check if you are eligible or to make an appointment for your FREE health check, please get in touch with Dawn Woolley at The Health Centre, who can make an appointment for you at any of the surgeries. Tel: 01225 866611 and press option 5 for General Enquiries. The Health Check will be carried out by a Health Care Professional (not a doctor) to assess your risk of developing heart disease, stroke, type 2 diabetes and kidney disease, and provide you with simple, practical and realistic steps to help you reduce that risk and stay healthy. By taking early action and preventing the onset of these conditions you could improve your health in the long term. The check is based on straight forward questions and measurements such as age, family history, height, weight and blood pressure. 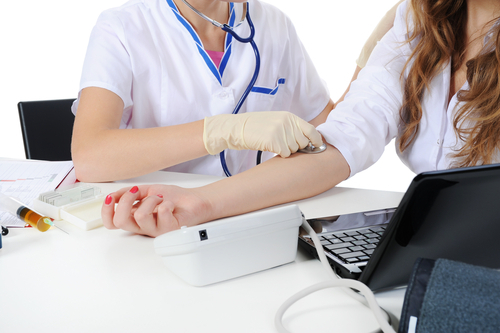 There will also be a simple blood test to measure your cholesterol level. If you are outside the age range and concerned about your health you should contact your usual GP . Are you over 18? Do you want to? A dedicated health trainer can assist you every step of the way in achieving and maintaining your goals. They can also help you find other services and activities. The hypertension clinic began at the end of 2005 specifically for people with Hypertension (raised blood pressure). Most of these people will already be on medication for their condition, which is hopefully helping them to attain the required target of 140/85 and below. Attending this clinic will ensure that your blood pressure is checked twice a year, once by a nurse and once by your GP to keep it within the required target for good health. If your blood pressure is not in target, action may be taken, with your agreement, to improve the result. At this clinic you will have your weight and height measured and your lifestyle will be discussed with you, such as diet, exercise, smoking and alcohol habits plus discussion on your medication for your blood pressure. The practice have a team of Mental Health Practitioners who are able to provide patients with support when going through a difficult period in their life. The Practice is a 'No Worries' surgery which means we offer free, confidential advice on sexual health issues and contraception to all young people whatever their age. A death that has taken place in Wiltshire, but not in Swindon, must be registered by a registrar in Wiltshire. You can register at any of the registration offices in Wiltshire. All offices operate a full appointment system to prevent unnecessary waiting. Appointments usually take between 30 and 40 minutes. You can make an appointment as soon as the medical certificate of cause of death has been issued to you by the doctor of the deceased, who may be either the GP or a hospital doctor. If the death has been referred to the Coroner, the Coroner’s officer will notify you when the death may be registered. Please telephone the following day to make your appointment, to allow time for the coroner’s paperwork to reach the registration service, as the registrar cannot proceed without it. Please telephone 0300 003 4569 to make an appointment. The adult care team for this area can be contacted on 01225 713001. This service will no longer be running as from Jan 2016, please see below to see alternative services offered in the area. As you will be aware, there is an increasing national focus on performance against national cancer targets. Patients not making themselves available is the biggest single reason resulting in failure against the 14 day target. The primary reason for this is that patients do not fully appreciate why they have been referred, and the associated urgency. This in turn delays diagnosis and treatment for those few who are found to have cancer. Your Care Your Sipport Wilthsire is the new health ans social care inforamtion website for local people and professionals. Healthwatch Wilthshire, the independent local champion for local people on health and care, has been working in partnership with Wiltshire Counci and NHS Wiltshire Clinical Commissioning Group on this new resource. This means, that the wealth of knowledge and experience across the health and care sector will be reflected in the new website which has been available since April 1st 2015. This nurse led clinic is for patients who take anticoagulant medication such as warfarin who need to have their blood monitored regularly. At this clinic a simple finger prick test is performed. An immediate result is given and the warfarin dose adjusted or continued as necessary, and a follow-up appointment is given. Patients benefit from this clinic as it is important to maintain regular checks on the clotting rate of their blood while taking anticoagulants. This can done at the first attendance. Patients do not have to wait for their results to come back from the hospital laboratory and then be contacted again with dosage instructions. Patients can access this clinic by making an appointment through reception staff or practice nurses at The Health Centre. In order to give the Nurses time to set up all the equipment & clinically clean the work area. We have decided to alter our opening times. 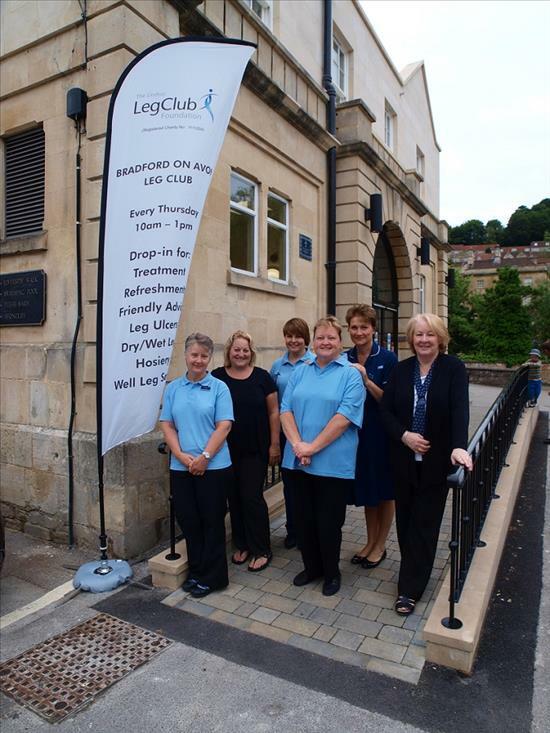 As from Tuesday 4th July the Bradford on Avon Leg Club will be opening from 9 am – 11.30 am. Please arrive at 9 am or after, as arriving early may result in you having to wait outside. If you wish to speak to a member of staff regarding this, please speak to the receptionist. Drop-in for treatment and advice (appointments only required for new patients). Amanda Brookes, an NHS manager from Wiltshire, has introduced a Leg Club into general practice and, in this podcast, explains to Ben how the club works and some of the astounding results they have delivered. Gill Wicks, Tissue Viability Consultant provides a specialist service to patients with a wide variety of complex wounds including pressure ulcer prevention and management, management of leg ulceration, management of traumatic injuries and complex non-healing wounds. Her team have been leading a trail for a new product which particularly suits non-compliance gentleman and has positive results. For more information about her work and this trail please click here to listen to an interview with Wiltshire BBC. 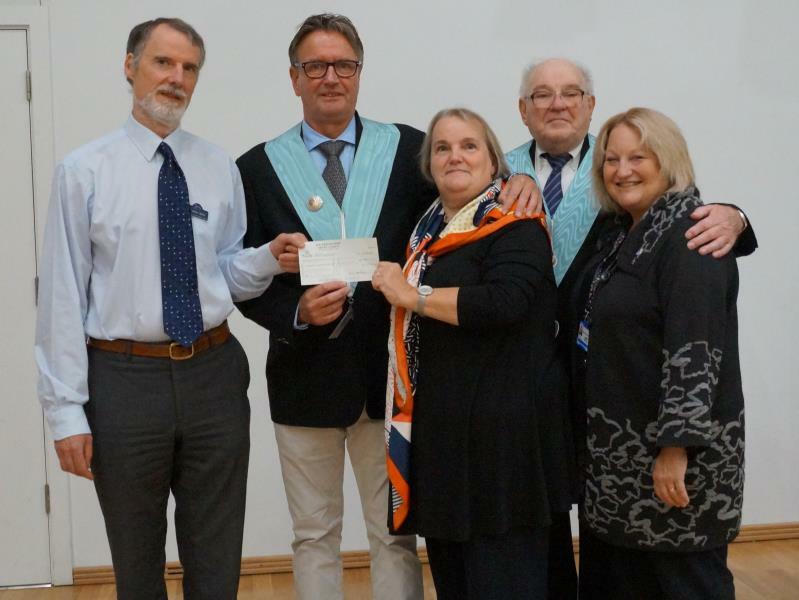 On Tuesday 11th October 2016 at St Margaret’s Hall, Sue Denmark, Chairperson of the Bradford on Avon Leg Club was delighted to receive a cheque of £1100 from Mark Kendall, who is the current Master of the Bradford on Avon Freemasons. We are delighted to be advised that we have been shortlisted as a finalist at this year’s General Practice Awards, taking place on 26 November! We are shortlisted in the category of Clinical Team of the Year - Dermatology. We are pleased to announce that the Bradford on Avon Leg Club has been shortlisted for this prestigious award! This submission reflects a range of partnerships and services, which completely match the ethos of the Leg Club. From the information given I am fully supportive of it. This is a well-put together and appropriate submission. I am content to score this highly. The Bradford on Avon Leg cCub clearly demonstrates a thriving Club, which has all of the hallmarks of the philosophy of the Leg Club. The blend of social events provides evidence of a strong sense of community. 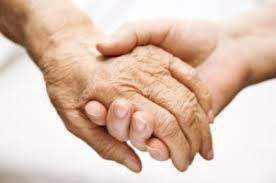 The concept of person led care is evidently practiced and there is evidence of excellent practice and appreciation of health in its broadest sense. Really good to see. 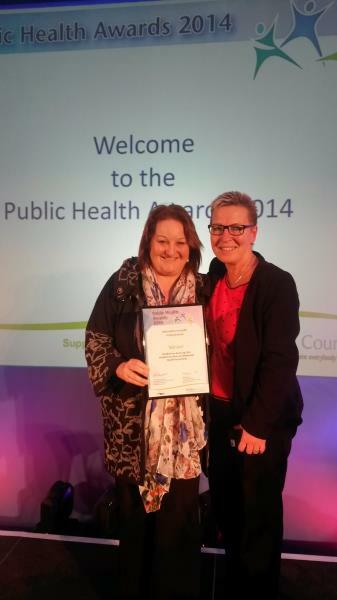 Congratulations to Bradford on Avon Leg Club Team and Volunteers for winning the prestegious 2014 Public Health Awards - 'Innovations in Health Improvement'. We are very proud of the team for all their hard work and effort who were presented with the award in March 2015. 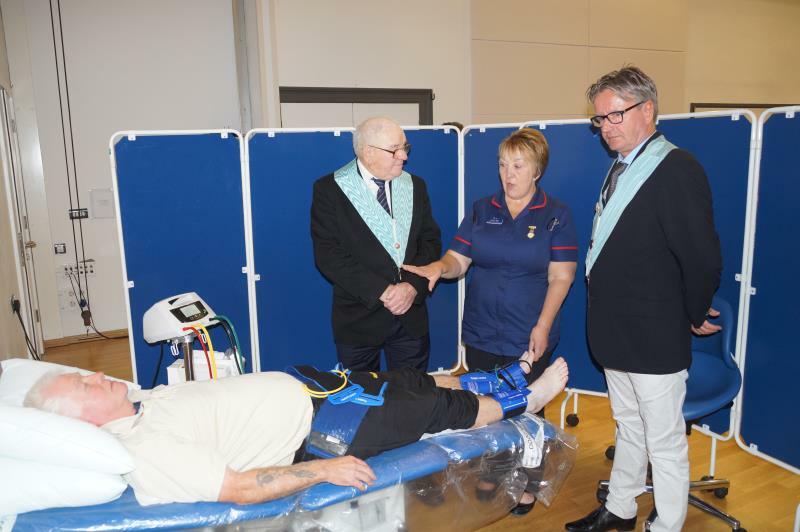 Amanda Brookes, Leg Club Project Lead, would like to share her artical published in Wound UK. Please click here to view the Bradford on Avon Leg Club Newsletter. Please click here to view the Bradford on Avon Leg Club Spring Newsletter. The 2014 version of the Leg Club newsletter has been released. Please click here to read the Annual General Meeting notes from 18th November 2014. John Cottle, Chairman of The Friends of Bradford on Avon Community Health Care and his colleagues Barbara and Denise have kindly been providing an interim Committee for the Leg Club. But from the 19th November 2014 we need to form our own Leg Club Committee and open our own bank account. Derek Glover has kindly offered to be the new Chairman. We need to recruit volunteers for the post of Secretary and Treasurer. The posts will be supported by the Project Manager, Amanda Brookes. There will only be 3 meetings a year. Can you spare the time? If so, please speak to Amanda Brookes on 01225 860011 or 860016. Classes are specifically designed to help people who have concerns regarding their balance, have had a fall or who are afraid they may fall. The class involves a variety of standing exercises supported by a chair which improves strength and balance and helps participants to increase their confidence. 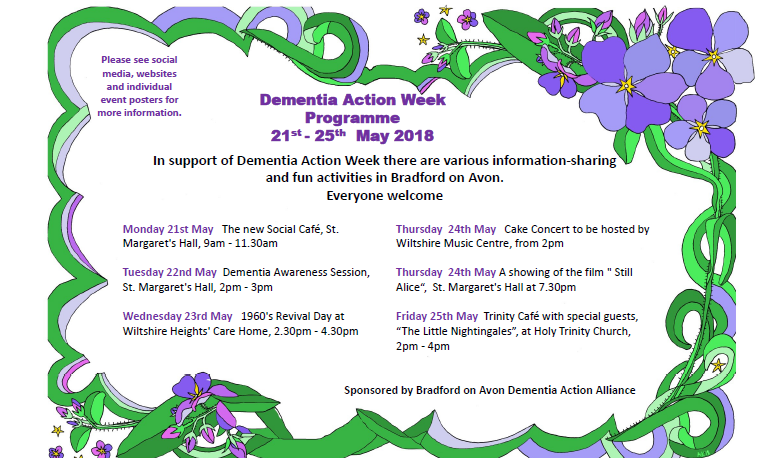 Bradford on Avon Dementia Action Alliance. If you are worried about your memory you should arrange to speak to a doctor about this. It may be that your symptoms are not dementia but are caused by something else which you can get treatment for. It is natural for people’s memories to get a little worse as the body ages, however, if your memory problems are causing difficulties in your day to day life, you should speak to your doctor about it. The doctor will want to know about your day to day life and how you are coping. They will run some physical tests, including blood tests, and a short memory test. They may refer you to a memory clinic if they suspect your symptoms are due to a less common type of dementia. If you do get a diagnosis of dementia you will have lots of questions. There is a Dementia Adviser called Chris Maple. 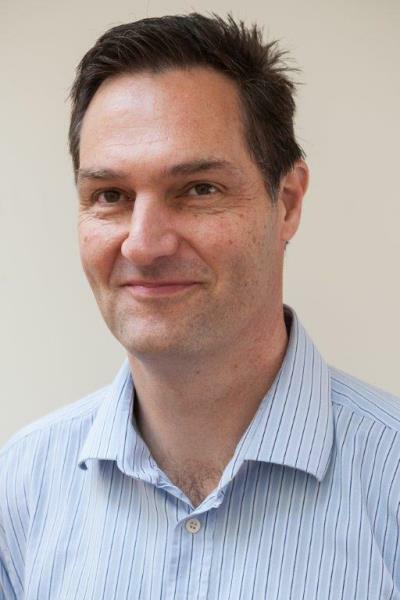 Anyone who receives a diagnosis of dementia should have an appointment with Chris and he will answer questions, help work out any benefits you are eligible for and tell you what services are available in your area. If your symptoms change you should speak with your doctor. It may be that a different and treatable illness is making the dementia appear to be worse. If you find the short time allocated for a doctor’s appointment too stressful, please ask for a double appointment when booking your appointment. This will allow you more time to speak to the doctor. While there is no cure for dementia, there is medication which can slow down the progression of the diseases. This is one reason why it is good to get a diagnosis as early as possible. There are lots of services available for people with dementia, which Chris can tell you about. However, if you feel that you are coping well at this stage, Chris will arrange for a follow-up phone call every 6 months to check how you are getting on. As the disease progresses you may need more support, and in Wiltshire this is provided by a charity called Alzheimer’s Support. Alzheimer’s Support’s range of flexible services support people living at home with mild to moderate dementia; helping them to maintain as much independence and control over their lives as possible. It works alongside family carers, providing information and emotional support throughout the course of the illness. Support workers who can spend time with someone with dementia, doing whatever the person wants to do. 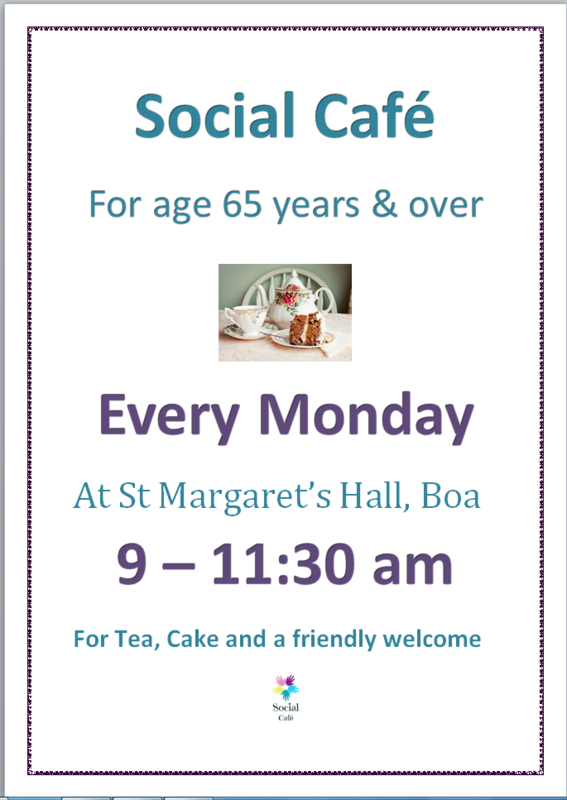 Memory Café at the Dog and Fox Pub, Ashley Road, Bradford on Avon, BA15 1RT. This takes place from 3-4.30pm on the first Thursday of each month, and is an opportunity for people with dementia and their carers to meet up. 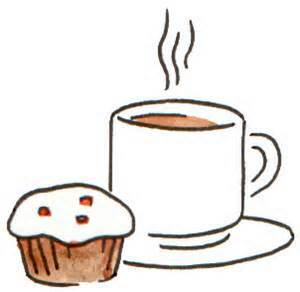 A range of activities takes place, all accompanied by tea/coffee and cake. If you get a diagnosis of dementia it is essential to think about what the future will bring and to make sure that your financial and legal affairs are in order. Swan Advocacy Service offer a free service you help you create a ‘Living Well Plan’. This plan is a record of what is important to you now and in the future, your choices, plans, hopes and preferences. What you think and your wishes are recorded for those who may need to make decisions on your behalf in the future. Details can be found at www.swanadvocacy.org.uk/wiltshire or by calling 03333 447928. The word dementia describes a set of symptoms that may at first include memory loss and difficulties with thinking, problem-solving or language. Later it may affect someone physically as the brain’s ability to control the body declines. Dementia is caused when the brain is damaged by diseases, such as Alzheimer's disease or a series of strokes. It is not a natural part of aging. 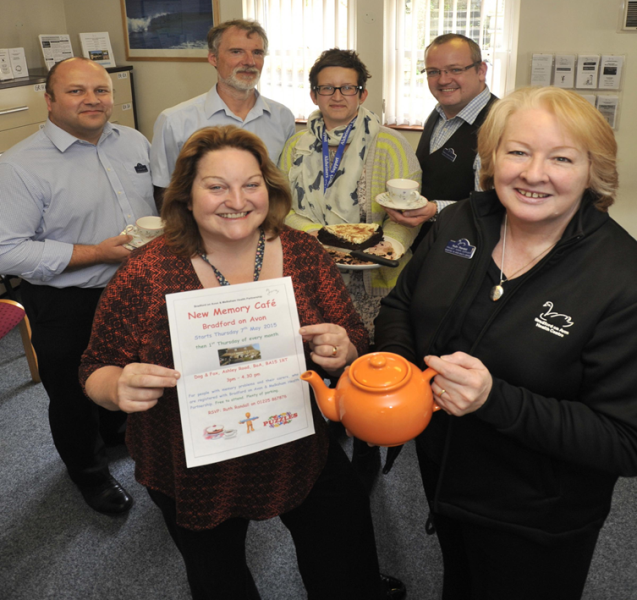 A Café has opened in Bradford on Avon to support people living with memory problems and their carer’s. This initiative is being run by The Bradford on Avon and Melksham Health Partnership to provide information and social support, and also a place to meet up. Amanda Brookes Business Manager at Bradford on Avon Health centre feels it is important to bring this vital service to the town. 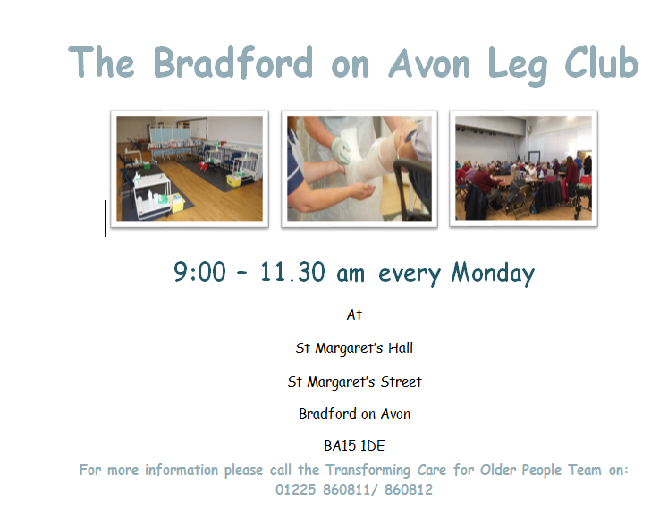 As the Health Centre currently have over 200 Patients registered with Dementia, and there is limited places for Patient’s and their carer’s to go to get help & support within Bradford on Avon. The objective for the café is to be a fun place to come for information and to network with people in a similar position. The current plan is to hold monthly session on the first Thursday of every month at The Dog and Fox Inn in Ashley Road between 3 – 4.30 pm. The Health Centre who are funding the project and supplying the dementia specialist staff, have said that if the idea proves popular in the town then they will consider holding it more frequently. 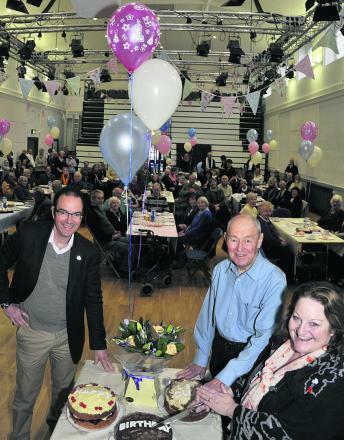 Please click here to read the article from the Wiltshire Times on the opening of the Dementia memory Cafe opening at the Dog & Fox in BOA. Amanda Brookes and her team would like to promote the Dementia staff & services which can be available to patients and their carers . Chris Maple Dementia adviser for Alzheimer’s Support in West Wiltshire, covering Trowbridge and Bradford On Avon. 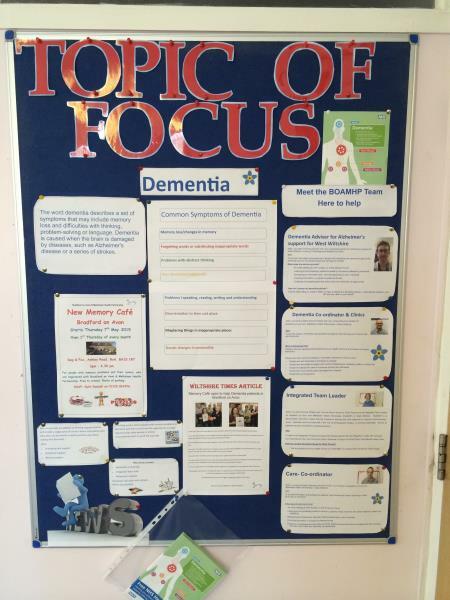 This information will be displayed on our notice boards, including Dementia handouts. Clinical trials aim to show the benefits and risks of new drugs or treatments, usually by comparing them with the standard treatments in use. During a clinical trial, the treatments being compared are given to patients or healthy members of the public. The researchers then carefully observe and record any differences in their effects on the trial participants over time. No matter how promising a new treatment may seem in the laboratory, it must be carefully tested through clinical trials so that its effects on patients can be more fully understood. The fact that treatments are new does not always mean that they are more effective than existing therapies, and they might even be harmful. Clinical trials are the best ways to assess whether new treatments are safe, what their side effects are, and whether they work better than the existing standard treatments. Vital treatments now commonly in use in the NHS were all developed and tested through clinical trials, for example chemotherapy and radiotherapy. Clinical trials have also shown doctors the best way to use these treatments, to help people suffering from life-threatening illnesses to live longer and to experience a better quality of life. As a result of clinical trials, there have been many health benefits. The Medical Research Council has been funding clinical research for more than 70 years. The people who volunteer are the most important part of clinical trials. They play an essential part in helping scientists to develop and test treatments for the benefit of everyone in the community. Details of studies we are currently recruiting for appear on our Clinical Trials Notice Boards located within the Health Centre and Winsley. These are updated on a regular basis, so please do take a look. The Health Centre undertakes many different clinical trials so keep an eye out for new ones. Recognising that people’s health is determined primarily by a range of social, economic and environmental factors. Social prescribing seeks to address people’s needs in a holistic way, it also aims to support individuals to take greater control of their own health. The Older Person’s Team (TCOP) team work with patients, usually in their own homes, to help them get involved in local services ranging from social cafes to gentle exercise classes. Social prescribing is designed to support people with a wide range of social, emotional or practical needs, and many schemes are focussed on improving mental health and physical well-being. Also supporting their families and carers. ¨ Our Care Coordinator, Alzheimer’s Support and Age UK advisors carry out home visits to patients to advise how we can help them with mobility aids, home help, befrienders, respite, carers support allowance, re-enablement and a whole lot more…..
We carry out visits to local care homes to complete assessments, medication reviews and prepare care plans. 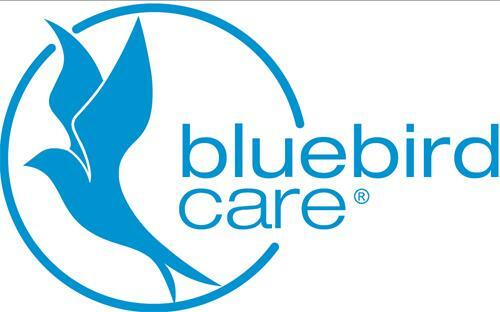 Bluebird Care is a national provider of care in the home. They specialise in working with customers and their families that require help, support or personal care in their own homes. They offer a unique service of tailored care visits from 15 minutes to full live-in support. Their commitment to quality and ‘good old fashioned service’ has played an important part in their success. They now have almost 160 offices in the UK and Republic of Ireland. Bluebird Care provides over 4.5 million care visits at home every year. That’s over 12,500 care visits to over 6,300 customers each day. Bluebird Care Franchise...A Flying Start! With a demanding need for Health Centres to increase the range of services they provide to accommodate the growing needs of the local community, Bradford on Avon & Melksham Health Partnership have been revolutionary in their approach....click here to read article. Based in a beautiful Georgian building in Bradford on Avon, Green Tree Health is a place of contentment, support and holistic care. There is an extensive range of therapies on offer. Green Tree Health was established in September 2004 and is managed by Bradford on Avon Health Centre. It is also open every other Saturday morning. Please note: Green Tree Health will be closed if therapists are NOT seeing clients. In such circumstances, for urgent queries, clients are advised to telephone The Health Centre on 01225 866611. If you wish to cancel your appointment when Green Tree Health is closed, please telephone the 24 hour appointment cancellation line on 01225 860025. Please leave a recorded message with your name, the therapist you were booked to see and the date & time of your appointment. We offer a wide range of therapies and services. Click on the treatment for more information. Gift vouchers are available from a variety of our Therapists and can be purchased directly with them. Please ask the receptionist for the specific contact details of the Therapist you require a gift voucher from. The Health Centre provides an occupational health service to organisations and businesses in Wiltshire and beyond. The service works to NHS standards and is part of the NHS Plus network of occupational health providers.